Hawk Racing here again to bring you interviews from sponsored riders all over the world. We love introducing people to new riders and this is a cyclist that you def shouldn't sleep on. Jen Luebke is a 32 year old professional cyclist. She's originally form Missoula, MT but her base of operation has been in Bend, OR for the last 5 years. Jen rides for Hagens Berman Supermint, an awesome American UCI-registered women’s professional cycling team. 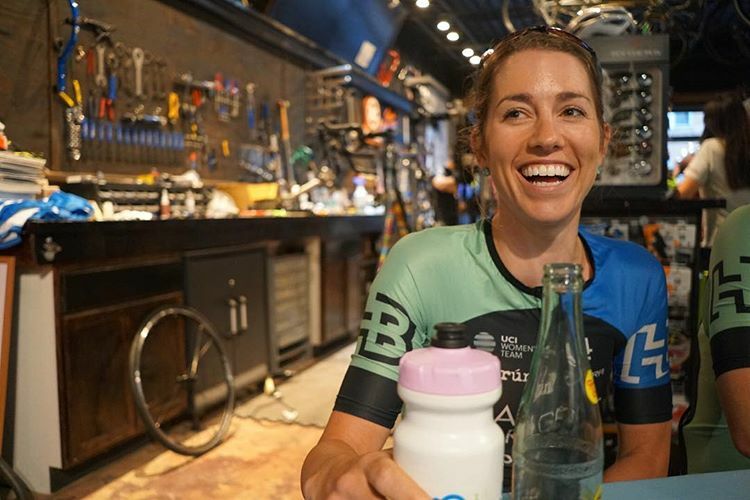 Our favorite thing about Supermint is their ambassador program which aims to grow women's cycling by pairing up cyclists of all levels with professional riders. Each Supermint rider provides individualized insight, support, and encouragement to help the ambassadors grow in the sport. If you are interested in this program and want to get involved or learn more head over to supermintusa.com. I don't have any personal sponsors past all of our amazing Hagens Berman Supermint sponsors. The first bike I can remember getting that I was really excited about was a hand-me-down fully rigid Univega mountain bike. It was teal and was my first "big kids" bike. I would ride it up and down the dirt road that we lived on. When I'm training and things get tough I remind myself if I make it through really hard training, I'll be more than ready for racing. Then when things get hard racing, I remind myself how hard I trained to be ready for racing. Just do it! Find a great riding partner or group so you can learn from others and jump on a bike. I love what I see and where I do on 2 wheels and I know others will feel the exact same if they ride too. My ultimate bike goal is to love riding as a lifelong sport and to convince others to do the same. One of my favorite bike memories was my first race of the year with Hagens Berman Supermint, Tucson Bicycle Classic. After the short, fast TT prologue, I was our GC rider. The team rode as a unit the whole race, we had fun, and in the end I won GC. It was an amazing feeling to win after all the hard work all my teammates had done to help me. It felt like the whole team won. That was the first time I was in the GC leader position and was able to successfully defend through the last stage. Maui, Hawaii, specifically the West Maui Loop. Amber Neben was and still is an inspiration when I started riding. I was in awe of the former TT world champion. At my first stage race she was a quiet but fierce competitor and almost won GC. I also almost crashed her out in that race and instead of getting angry she gave me some useful pointers. Less than a year later, she invited me to guest ride with her at Redlands Cycling Classic, my second big stage race. At the time I couldn't believe she gave me that opportunity and it really led to me landing a permanent spot on a team. My inspiration helped me into the sport! I'm hoping I get to visit more awesome places I have never been to and meet more radical people that are as obsessed with their bikes as I am. Riding for me is about the journey. That sounds cliche but I would ride my bike just as much as I do now even if I didn't race because I love riding my bike so much. I love all kinds of bikes - road, gravel, and mountain - because they all take me to different places. 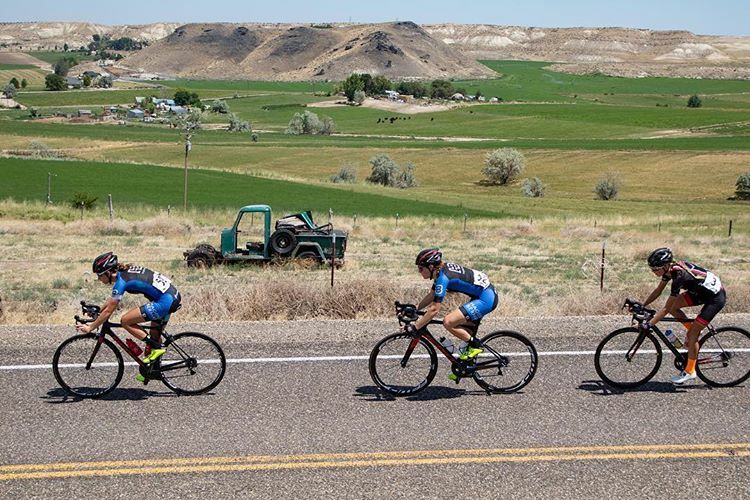 It's super important in bike racing to trust your equipment and my favorite thing about Hawk Racing Components is that I really trust my equipment. Also, they're located in Fort Wayne, IN, where my entire Dad's side of the family is from! Make sure you show Jen some support and give her a follow on Instagram: @jenluebke!